I know what you're thinking... Another soup? Really? She always makes soup. If you are what you eat, then I am most certainly soup, or peanut butter... But to my defense, it really has been cold. Like 37 degrees-as-a-high cold. I'm finally home for winter break and I'm attempting to get accustomed to this frigid Tennessee weather. After living in the desert for nearly two years, it gets harder each time I have to go back to cold weather. I feel like an ice cube. Or maybe a dry ice. Yeah, I feel like dry ice. Therefore, I make soup. I make lots and lots of soup. I know that I recently posted a recipe for split pea soup, but I just love, love, love the texture and heartiness of split peas. They really are perfect for winter. 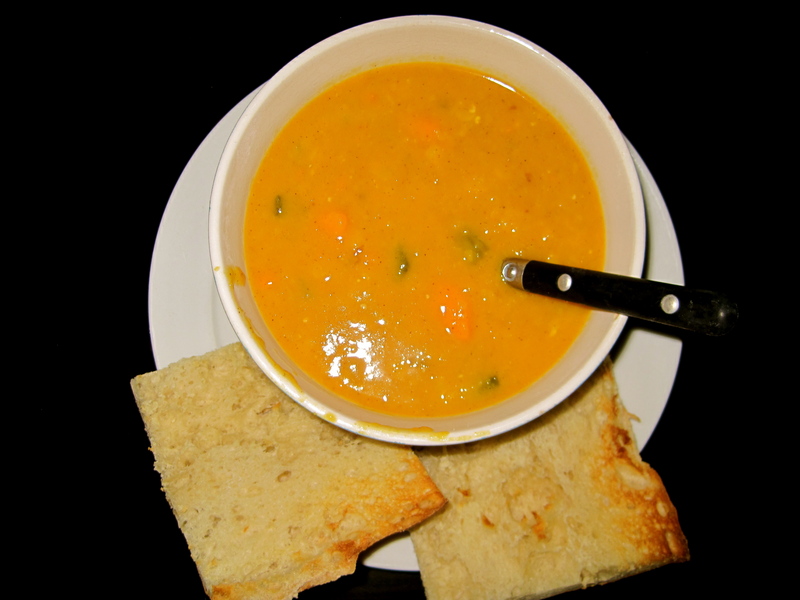 The sweet potatoes in this soup also caught my eye when I was looking through recipes. I really enjoy the subtle sweetness they bring to the soup. And with the ginger. Oh my, don't even get me started. 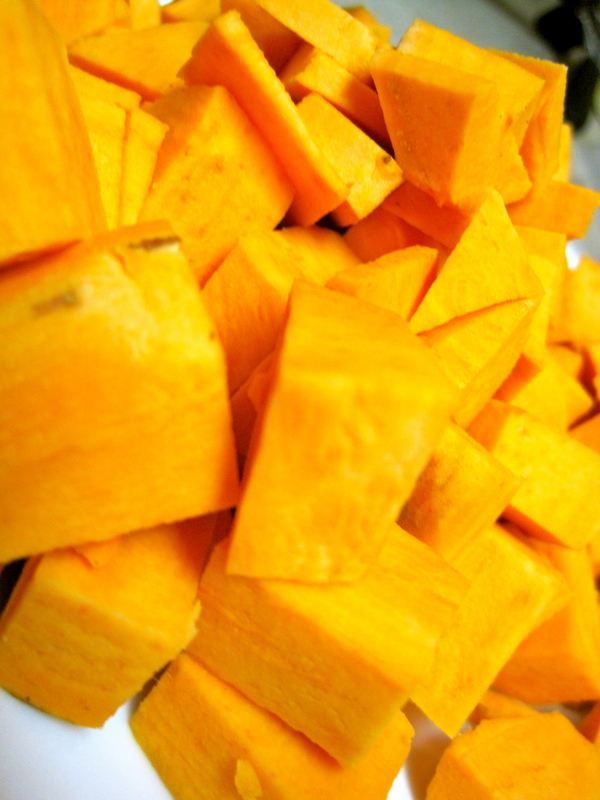 Sweet potatoes are super veggies. They are loaded with beta carotene and fiber and are also low in fat. They add such excellent texture to this soup. I didn't have an entire onion for this soup but I did have several leftover green onions from a dish that I made earlier in the week. I decided to add those along with the 1/2 onion I did have since the flavors are very similar. If you do have a whole onion, I would go ahead and use that, I just didn't have one. 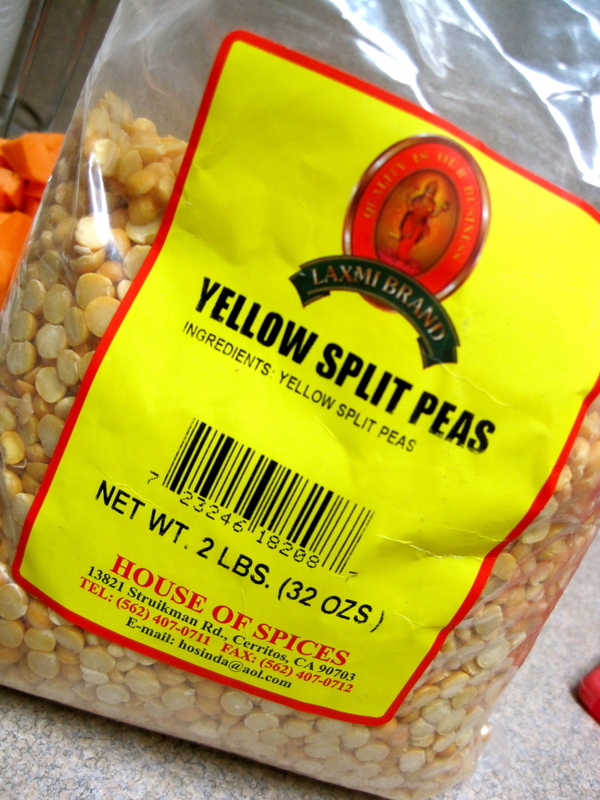 I found these yellow split peas at an Indian market. If you have difficulty finding yellow split peas, I think green would work well too. I imagine the cooking times are the same. I added bouillon to my soup to give it a bit more flavor. If you don't have bouillon, I'd add some salt to give it that extra little bite. In a large soup pot over medium high heat, simmer 1/2 cup of water. Add both onions and cook until translucent. Add ground ginger and cook for an additional minute. 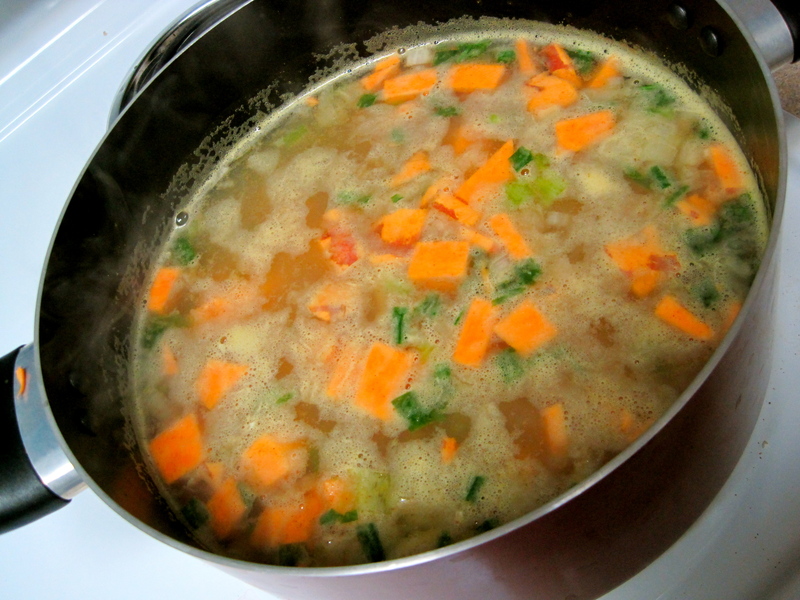 Stir in remaining 6 cups of water, sweet potato cubes, yellow split peas and bouillon. 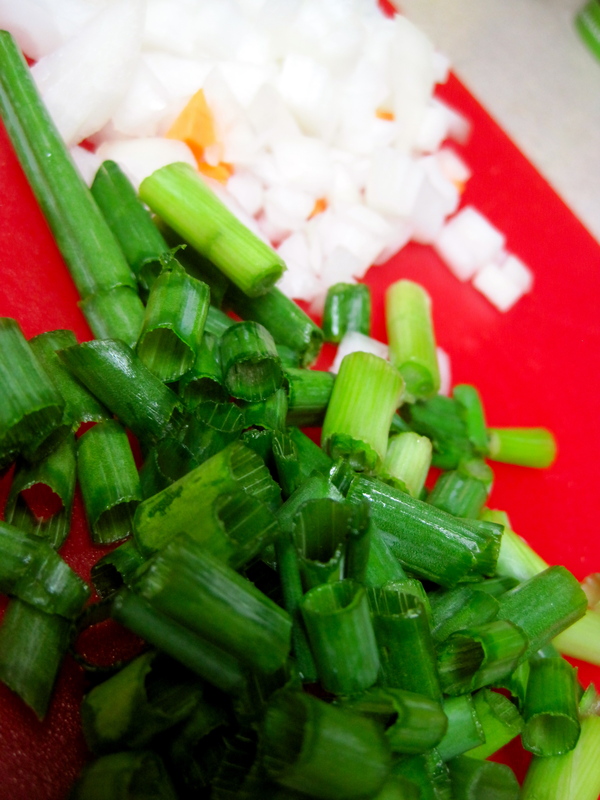 Bring soup to a boil and then reduce it to a simmer. Cook, covered for 1 hour. Uncover and continue to cook for an additional 15 minutes. Puree soup with an immersion blender or in batches with a food processor until desired texture is reached. I prefer thicker soups so I don't puree mine as much. Serve hot with crusty bread. Refrigerate leftover for up to one week. Soup freezes well.